Its the first... 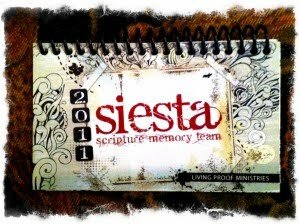 Which means its time to start a new year of Scripture Memory with my "Siesta's". If you havent heard of this before, the plan is to get a verse that speaks to you & memorize it - you do this on the 1st & the 15th of each month, so at the end of the year, you have 24 verses of scripture tucked away.... 24 seems very realistic to learn in a year - right? I don't know if I'm going to commit to 24 of these, but I'm writing this one down & memorizing it! So excited for this....And the gathering next year! You know I'm right there with you RJ. My verse is Psalm 27:13-14. What version is your verse from? So glad we are doing this together with so many others. What a powerful verse RJ ~ and I need to memorize this one on the 15th as our 7 yr old has a major surgery on the 18th and I still don't have peace about it! 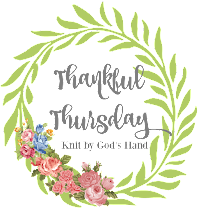 So thrilled to be on this scripture journey with you and so many others! I have been "out of pocket" for quite some time and have missed reading your blog. I have started back trying to blog and I have joined back up for the 2011 Siesta Scripture Memory Team. The verse I selected as my first is Hebrews 10:35-36 NIV. Looking forward to doing this with you! Let's do it! I missed this last week (my internet has been up and down and up and down for the last few weeks and driving me crazy) but this week I saw a mention of a "don't panic" verse and had to come find it. All of that to say...this is the verse that I need right now. Thank you. I'll be memorizing it! I already wrote it down on a little card.